Let’s be clear: If voters approve State Question 759 next November it won’t end what its proponents say is reverse discrimination; it will codify and further institutionalize real discrimination. SQ 759, which should be on the ballot in November, would essentially end affirmative action, with some exceptions, among public agencies. 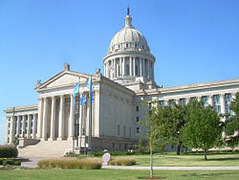 The Oklahoma Legislature recently approved the proposed constitutional amendment for the ballot after an initiative petition drive failed. The concept of affirmative action is simply to prevent discrimination against and provide some opportunities to minorities and women, who continue to face discrimination. Opponents have argued that affirmative action leads to a “reverse discrimination” of white men, but such alleged cases are infrequent at best. Collectively, white men have been the dominant power structure in the nation for more than two centuries. SQ 759 ignores that obvious history. The election of Barack Obama, the country’s first African American president, did not mean racism suddenly ended in a country with the immoral and terrible history of slavery, Jim Crow laws and the marginalization of women, who couldn’t even vote until after 1920. In fact, I would argue, Obama’s election only emboldened racists by allowing them to falsely believe and claim institutionalized bigotry had ended. This is at the crux of SQ 759, a false claim. Proponents point to the fact that California, Michigan, Nebraska, Arizona and Washington have passed similar measures, but that doesn’t make it right nor does it mean Oklahoma, in particular, should join the group. Proponents use the term “reverse discrimination,” but they can’t cite many alleged cases. The national cases, the 1970s Allen Bakke case against the University of California, the University of Michigan case over minority preferences settled in the early 2000s, a 2009 case heard by the U.S. Supreme Court in which some white firefighters claimed they were discriminated against because of race, garnered media attention because they were unusual and could be sensationalized. By contrast, a recent Tulsa World article and an editorial supporting the measure in The Oklahoman, didn’t cite one state case of alleged reverse discrimination. In fact, the measure’s proponents only engage in gross generalizations, faulty logic and right-wing talking points. It’s difficult to know what Shortey means here. Yes, Oklahoma is known as a state that has a long history of discriminating against minorities, including its segregation policies before the Civil Rights Movement. Even recently, incidents like state Rep. Sally Kern’s bigoted comments on the House floor and the draconian bill targeting illegal immigrants, can be construed as racially targeted. A recent measure banning the use of Sharia law can be viewed as an act of anti-Muslim bigotry as well. Of course, these examples only touch upon the dilemma. What about local and national racial profiling? What how current high unemployment in the African American community here and elsewhere? Of course, the conservative juggernaut and the anti-Obama hysteria rolls on in Oklahoma so it’s likely the measure will easily pass. Some organizations, such as the American Civil Liberties Union, and some Democratic politicians are lining up against the measure, but it will probably take a lawsuit to resolve the issue when it passes. The Oklahoma power structure is making a crucial error by supporting a measure that will roll back progress and leave the state with more image problems in terms of race and bigotry. Let’s hope some state leaders and The Oklahoman editorial writers rethink their position on this issue.